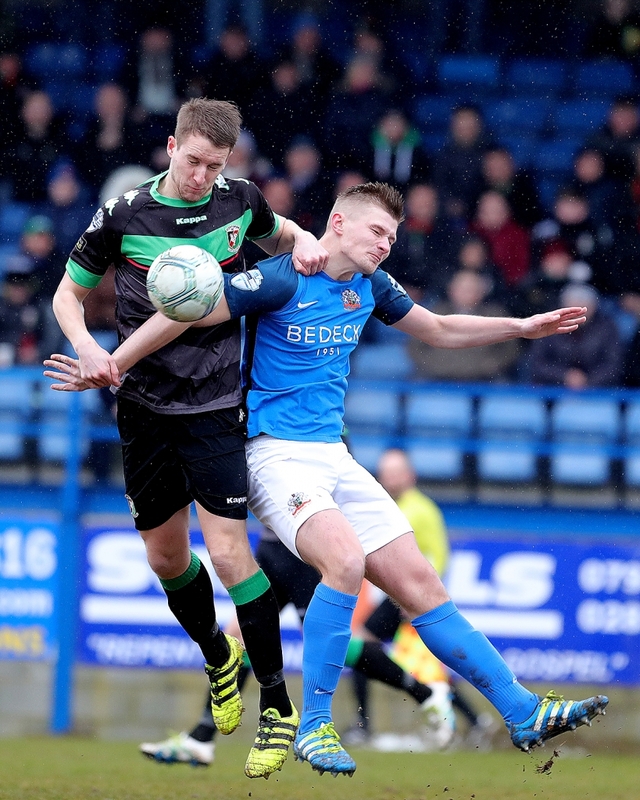 Glenavon and Glentoran drew 2 – 2 at Mourneview Park for the second time this season on Saturday. 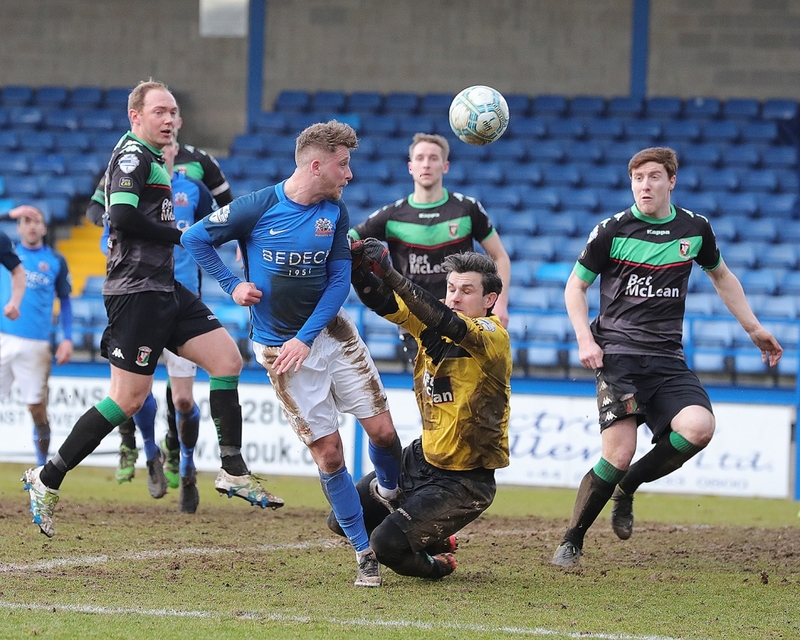 The game played out in a remarkably similar manner to the match back in August, with Glenavon taking the lead in the first half, then Glentoran striking twice in quick succession in the second period to go in front, before Glenavon hit back late on to secure a point. Man of the match Mark Sykes opened the scoring for the Lurgan Blues in the second minute with a fine strike, and Glenavon dominated possession for the remainder of the first half and the early part of the second but failed to add to their tally. 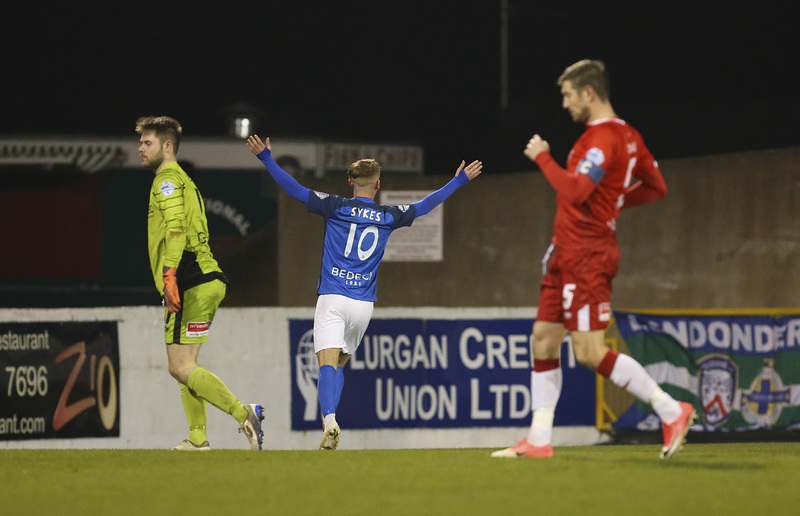 The hosts paid the price for their inability to convert their dominance into more goals when the visitors grabbed two inside three minutes through Curtis Allen and substitute John McGuigan to turn the game on its head. However, substitutes Eric Foley and Marc Griffin combined in the 90th minute to secure a point for Glenavon. 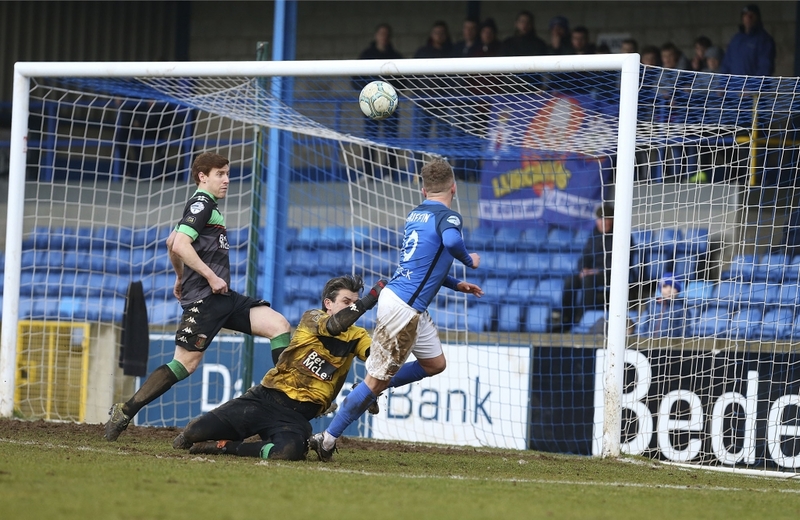 Glenavon got off to the perfect start as Sykes opened the scoring just two minutes in. Andrew Doyle’s clearance found Andrew Mitchell and the striker controlled the ball in the centre circle, holding it up well under pressure from William Garrett, before feeding it into the path of Sykes. The midfielder surged clear of Steven Gordon, then fired an excellent low shot into the far corner past Glens goalkeeper Elliot Morris from 25 yards out with his right foot. 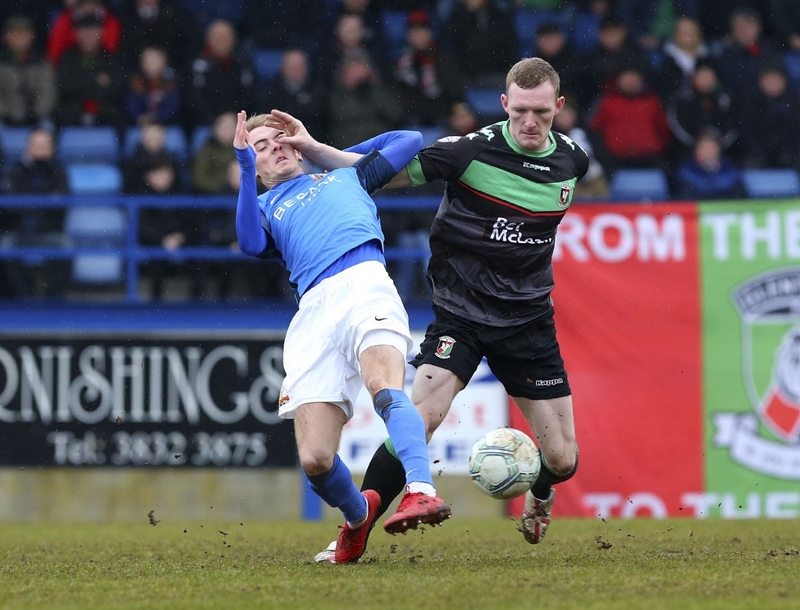 Glentoran might have hit back almost immediately, but former Glenavon striker Robbie McDaid shot straight at Jonathan Tuffey. Sykes was involved again moments later when he lifted a ball over the top for Stephen Murray. The striker’s first-time shot on the half-volley went straight into the arms of Morris. Five minutes in Sykes rolled a free-kick to Sammy Clingan, but his midfield partner could only drag his shot wide. On 12 minutes Bobby Burns picked out Murray with a cross, but the striker’s header drifted just over the bar. Soon after, Burns had an effort of his own which didn’t trouble Morris. 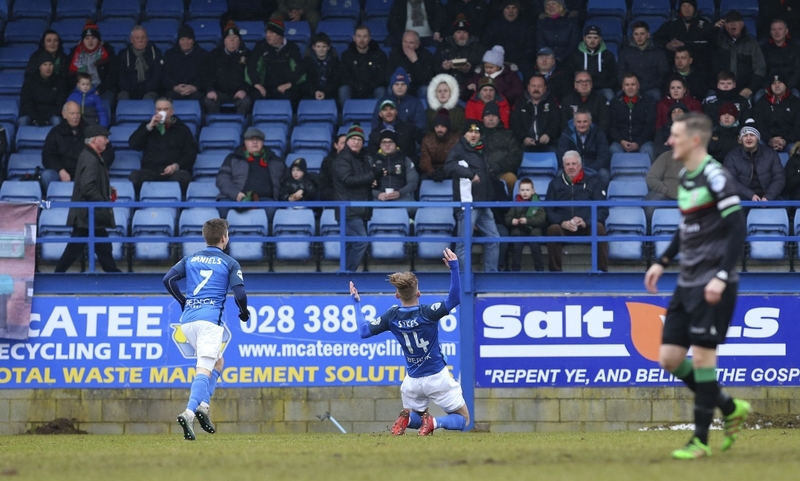 Clingan did his best to add a second for Glenavon. On two occasions the ball came to him outside the box following Burns corners, but his first effort was saved comfortably by Morris, and he sliced his second well wide. He tested the Glentoran keeper again just before the half-hour mark with a free-kick from distance, forcing Morris to tip it over the bar. 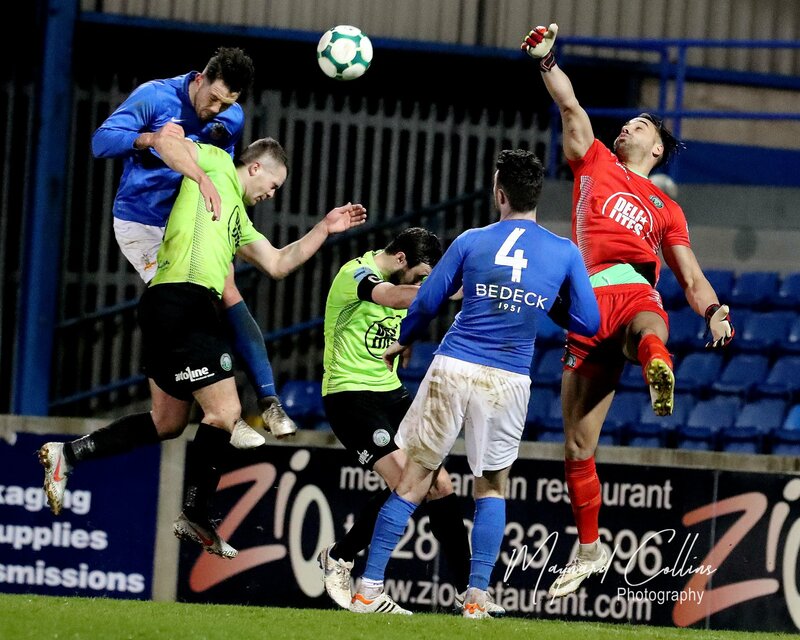 Burns was very unlucky not to double Glenavon’s lead ten minutes before the end of the first half when his acrobatic overhead kick landed on the roof of the net. Mitchell came agonisingly close to adding his name to the scoresheet a minute before half-time. Glentoran captain Marcus Kane gifted possession to James Singleton. The left-back spread an excellent ball out right for Josh Daniels, and the winger fizzed in a low cross right across the face of goal. Mitchell slid in and came within inches of connecting with the ball and adding a second. 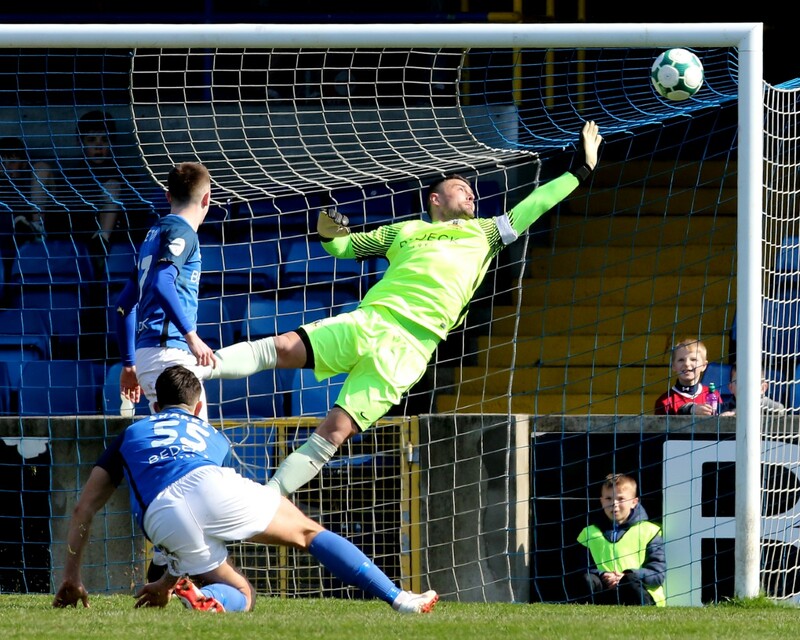 Glenavon continued to push hard for that elusive second goal in the early stages of the second half, but it just wouldn’t come. Burns had a couple of opportunities in the space of a couple of minutes. Clingan’s corner was cleared and fell for him outside the box, but he volleyed his effort well over the bar. Then two minutes later he failed to connect cleanly with his weaker right foot after Daniels had picked him out with a cross. 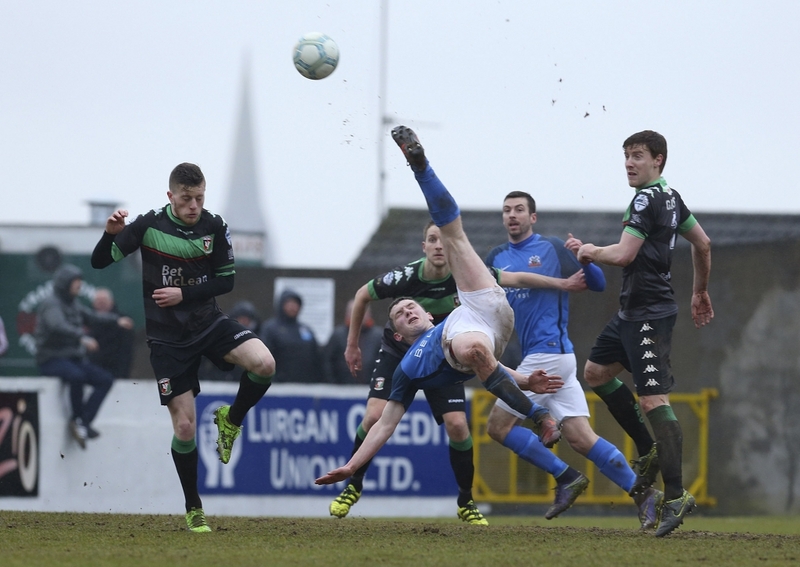 As the second half wore on Glentoran came more and more into the game. Left-back Ross Redman whipped a free-kick over from the left on the hour mark and Kane got his head to it, forcing Tuffey to make a good save. Five minutes later the Glens had a penalty appeal turned down when Garrett went down under Tuffey’s challenge. When the visitors’ equaliser did finally arrive, there was no surprise that it came courtesy of Allen, the NIFWA player of the month for February. Redman’s corner from the right was sent to the back post, Kane headed it back across goal, and Allen nodded into the bottom corner to notch his 15th league goal of the season. Two minutes later the Glens went in front, and this time Allen was the provider. He beat Doyle on the left flank and sent a low cross into the penalty area. Substitute McGuigan appeared to push Singleton over just before he controlled the ball, then turned and fired his low shot past Tuffey, but referee Arnold Hunter was unmoved by the Glenavon protests. 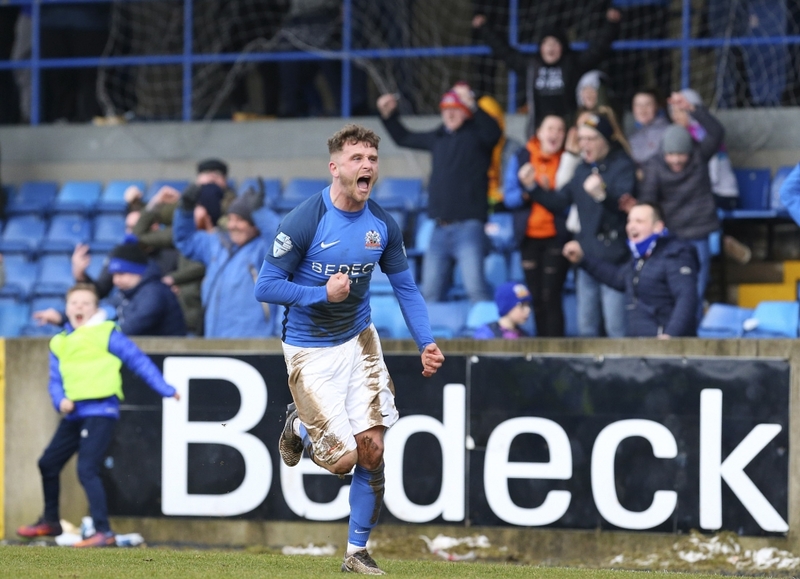 It looked as though Glenavon were going to slump to their third successive defeat, but the introduction of former Glens player Foley helped to swing the momentum of the game back in the Lurgan Blues’ favour. 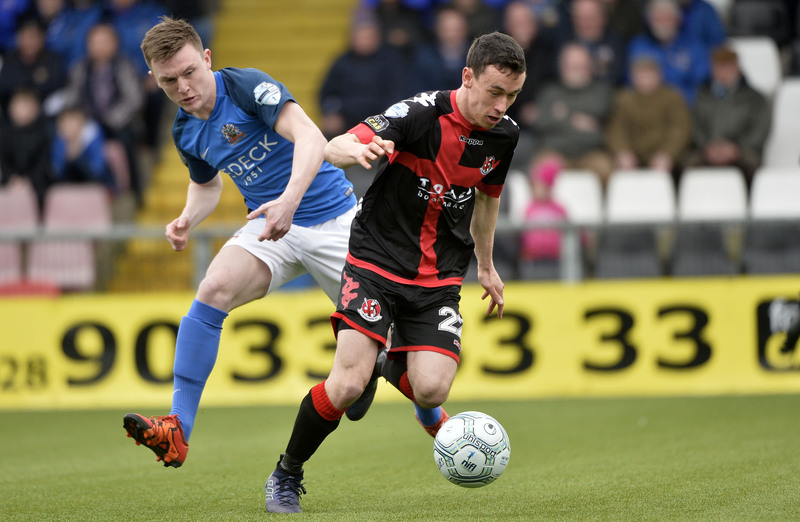 Foley has looked impressive since making the switch from the Oval to Mourneview Park in the January transfer window, always wanting the ball to feet and trying to play passes forward and make things happen, and it was no different when he was introduced on Saturday. His efforts were rewarded in the final minute of the game when he whipped in an excellent cross from the right touchline which picked out fellow substitute Griffin at the near post. 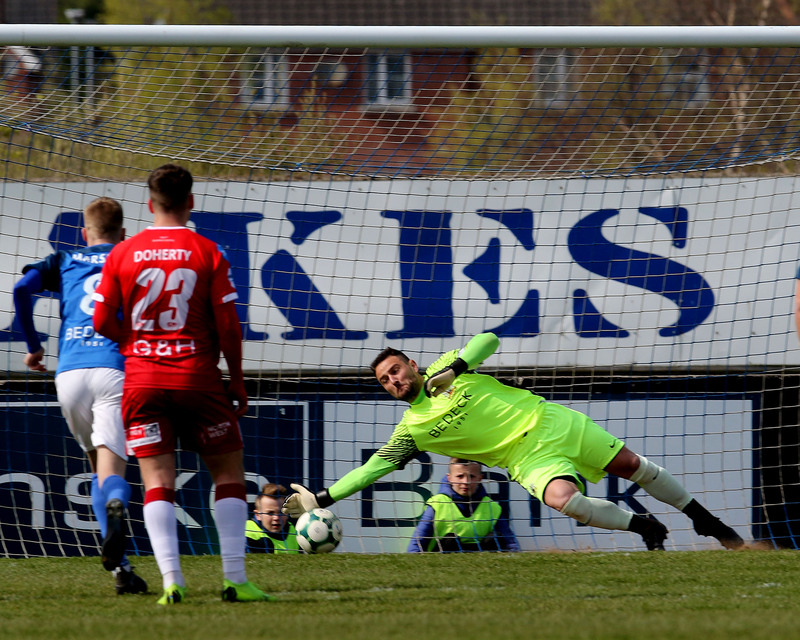 The striker nodded the ball over Morris and into the net to rescue a point for the Lurgan Blues. 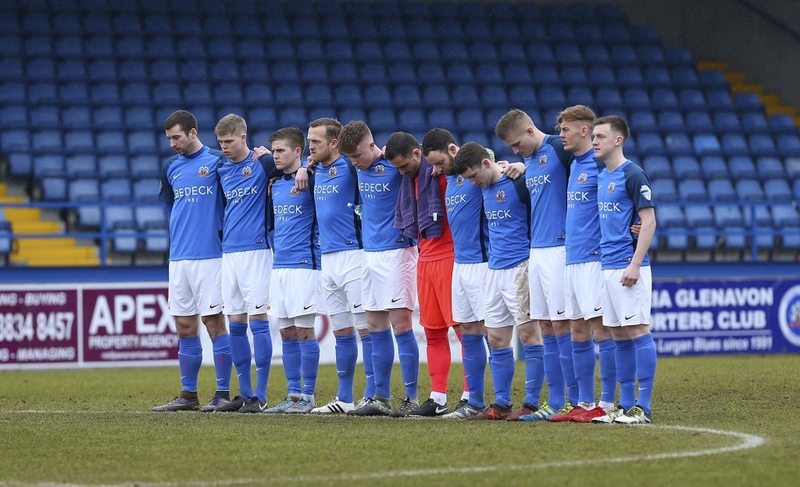 Next Saturday (March 17th) Glenavon welcome bottom-of-the-table Ballinamallard United to Mourneview Park for their final home game before the split.